Join the TVACCU Family Today! Sure, a lot of businesses say it, but just what does it mean to go the Extra Mile? At TVACCU, it’s who we are at our core! 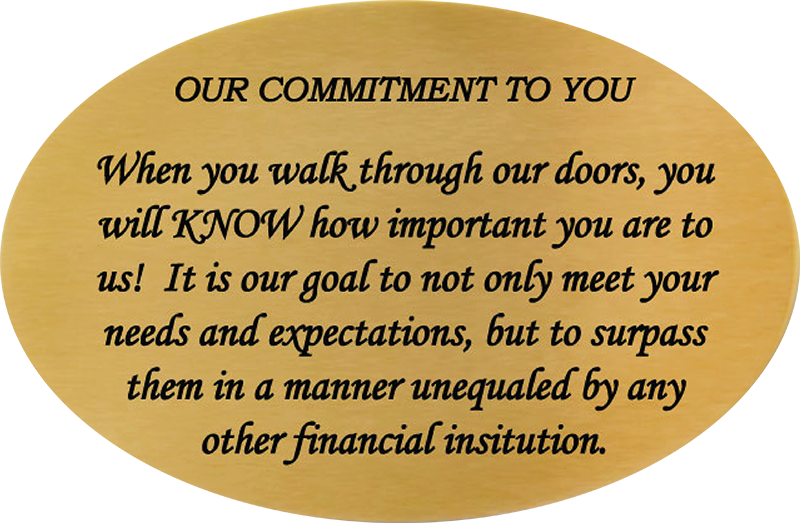 When you enter any TVACCU branch, you will find this commitment plaque. This is our pledge to always let you know how important you are to us – to always give you the ‘red carpet’ treatment – to do more than merely meet your needs, but to surpass them in every way! That’s what Going the Extra Mile means to us! Not a member? Join the TVACCU Family Today!